When I was in high school I read a novel that I’ve never forgotten. It was the story of a priest who took today’s Gospel seriously. Well, to be more precise, he took seriously the version of today’s Gospel that we read in the Gospels of Matthew and Mark, since they both record Jesus talking about moving mountains rather than mulberry bushes. The book, written in 1931 (when I was not in high school, just for the record), was called “Father Malachy’s Miracle.” It tells how a humble monk asked God to move a dance hall—the closest thing to a night club in a seaside village—to a barren island off the coast of Scotland. He’d made the prayer after a Protestant minister scoffed at miracles. The moral of the story was quite simple. The miracle didn’t achieve anything. 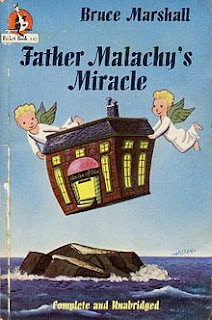 Poor Father Malachy got in trouble with both the bishop and the dance hall owner. And if my memory serves me right, even the minister was not impressed. That’s not to say Father Malachy didn’t achieve anything by taking today’s Gospel seriously. In a fictional way, he accomplished something very important: he taught me not to take today’s Gospel seriously. At least not to take it literally—for that is really and truly to miss what Jesus is saying to us. In the first place, we get sidetracked if we take his words literally. It almost sounds like Jesus is daring his disciples. 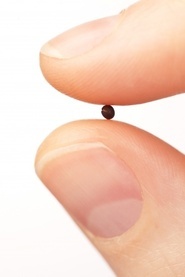 You can’t uproot trees (or move mountains), therefore your faith must be smaller than a mustard seed. In St. Luke’s account of Christ’s teaching that we read today, Jesus talks about planting a tree in the sea. Right off the bat this suggests his point isn’t to be taken literally. What on earth’s the good of planting a tree in the sea? It could neither take root nor be sustained by salt water. Moving mountains has more appeal. Let’s improve things for local skiers and pray Blackcomb Mountain moves to the North Shore. Go ahead—try it. No luck? Ah, no faith. That’s the way it feels. But I sure don’t think it’s the message Jesus is giving us. Let’s look again at the text. The apostles say “Increase our faith!” It’s a sincere and simple a prayer. So often they ask Jesus for the wrong thing, but this time they get it right. Do you think he would answer with a taunt, an impossible proposal, or a silly experiment? Is that what he says to us today? No miracle, no faith? Surely not. So what is the message of today’s Gospel? I suggest it has to do with the mustard seed. And not so much with its size but the mere fact it’s a seed. What do you do with seeds? You plant them. You water them. You give them light. And they grow. That’s what Jesus is saying. Plant the seed of faith you have—tiny though it may be—and watch it grow. Don’t think about the faith you lack—nurture the faith you have! Prayer plants, waters and gives light to the seed of faith, but growth also requires nutrients like reflection and study. We want to have more faith—people often speak to me about how they envy the faith of this person or that—but we don’t read the Catechism, subscribe to a magazine like The Word Among Us, or attend a parish faith formation event from one year to the next. Not one new parishioner showed up at the first two Tuesday evenings of Symbolon, our engaging series on the Catholic faith. We were very happy to welcome back several faithful folk from last year, and delighted that some inquirers had come; but it seems everyone in the parish is comfortable they know what they need to know about the Lord, his teaching and his Church. For a seed to produce a thriving plant, some weeding may also be necessary. Habits of sin, of course, can block the development of our faith—although, often enough, it’s faith in God’s mercy that permits us to carry on despite our failures. Maybe the weeds we need to uproot are some of the things that make us too busy to pray, to read, or to join with others in the study of our faith. This is very bad time to face life without strong faith. Just like the prophet Habakkuk in the first reading, we see violence and destruction all around. We see the enemies of God winning battle after battle, despite our prayers and his promises of victory. St. Paul does a better job than I can of urging us forward in faith. He doesn’t use the image of seeds but of embers—rekindle the gift of God you received in baptism and confirmation. Another translation puts it even better: fan it into a flame! Sherry Weddell, the author of “Forming Intentional Disciples,” shared some powerful words from St. John Paul’s document on catechesis when she spoke in Vancouver last month. He wrote that there are baptized Catholics without any significant personal attachment to Jesus Christ. They only have the capacity to believe placed within them by Baptism and the presence of the Holy Spirit (cf. Catechesi tradendae, 19). The bad news is that some of those Catholics may be in Church today. Perhaps their parents didn’t share the faith with them, or perhaps their teachers or priests failed to present Jesus and his message in convincing way. But the good news is that they do have the capacity to believe, given to them in Baptism and Confirmation. The seed is there! It may be tiny, but it is there, and God put it there! Wherever we are on the journey of faith, the Word of God tells us today that there are greater things to come—if we will fan those embers into a flame by prayer and study. Not the faith that moves trees and mountains, but the faith that sees us through suffering, fear, grief and every other challenge that we’ll meet through life. That’s the true miracle of faith.